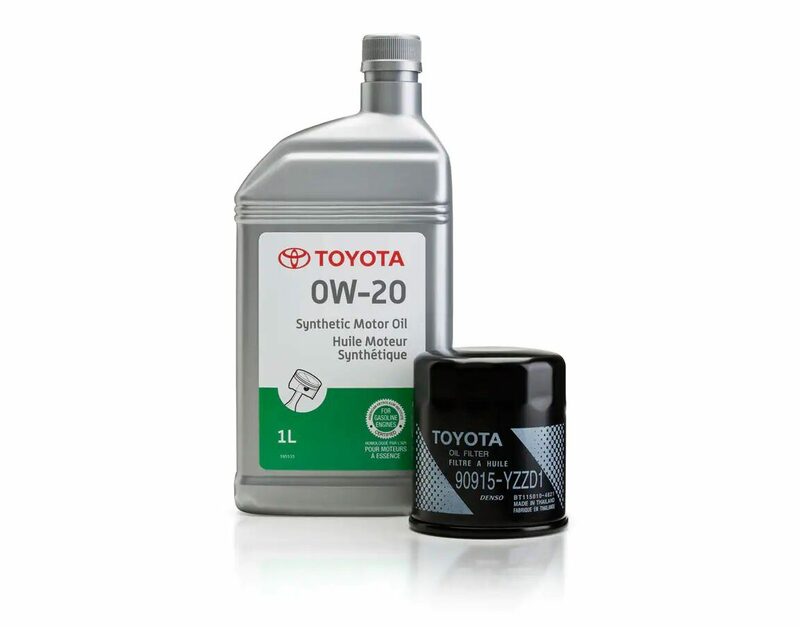 Toyota Genuine Motor Oil is available in two different types; Mineral and Synthetic. Both maintain the quality of your Toyota engine. TGMO is a unique combination of oil base stocks (mineral or synthetic) and a special additive package that promotes optimum engine performance. TGMO 0W-20 is man-made and its composition is set to meet exacting specifications. For vehicles operating in extreme environments, synthetic motor oil offers an extra measure of protection. Protects your engine and performs better than conventional oil in both cold and hot temperatures. Controls engine friction, especially at low temperatures, improving fuel economy and performance. Controls on-going wear and deterioration to help extend engine life. The oil and filter should be replaced according to the manufacturer's required maintenance schedule. Flows at far lower temperature than conventional oil as low as -32°C. Withstands the extremes of very high engine temperatures without thermal breakdown and maintains viscosity control. Excellent low and high temperature performance combine to produce a single all-season lubricant suitable for extreme weather conditions. Reduced engine deposits for a cleaner running engine.